박혜림 학생 (허원도 교수님 Lab), 제1회 다카라 우수논문상 수상! / Hyerim Park (Won Do Heo's lab) won the first Takara outstanding paper award! 허원도 교수님 실험실의 박혜림 학생이 한국분자세포생물학회 2015년도 정기학술대회에서 시상하는 제1회 다카라 우수논문상(이학분야)을 수상 하였습니다. 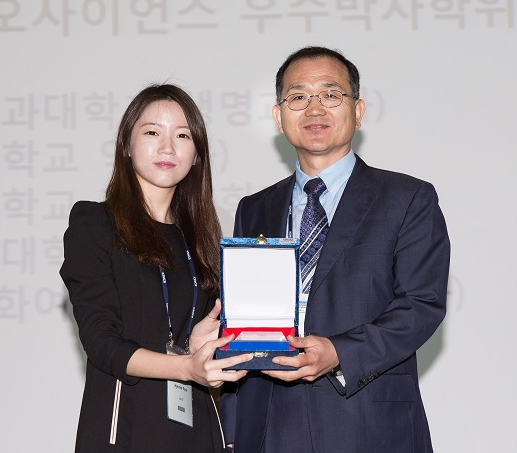 Hyerim Park (Ph.D. candidate) at Professor Won Do Heo's lab won the first Takara outstanding paper award in 2015 annual academic conference of Korean Society for Molecular and Cellular Biology.